Eiji asks Kayo whether Hanako came here. "I don't hope she does something rash." Renko looks for Hanako with Eiji. Hanako shows up with children. They beg Hanako for some stories. Hanako tells a story of cloud. But she cannot continue to do it with sadness. "Sorry, I hope there'll be another chance." "What happended to Ayumu today?" "Can you lose also Hanako?" Heisuke tells Eiji his sadness of losing Ikuya." "You are the only one who can receive her sorrow. Nobody is responsible for the death of Ayumu." Eiji sits next to Hanako. "You would go to Ayumu alone leaving me, wouldn't you?" "I should have taken him to the sea..."
She regrets she didn't do it. ”I should have come to the sea insted of working so hard..."
"Let's go. Shall we go to the sea?" 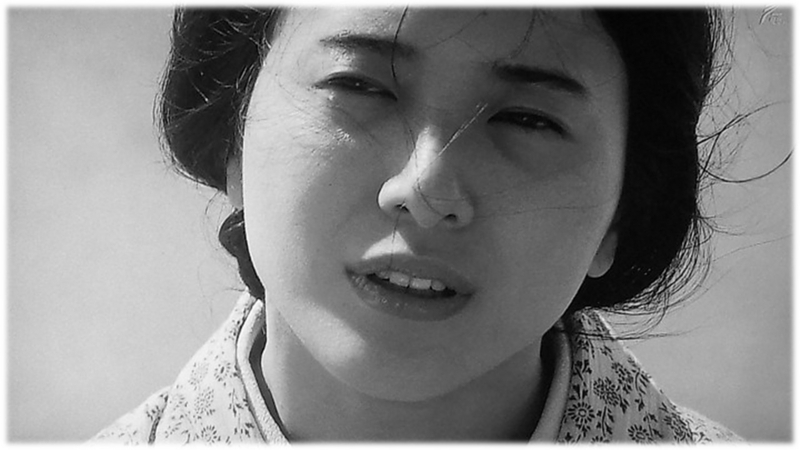 Hanako, Eiji and Renko came to the seashore. Hanako has recall of the things of Ayumu and regrets them. Eiji tells her what Ayumu told. "You are the very best mother Ayumu have choosed." Renko point at the sky. "I got it. The cloud becomes a reinbow after it gets rained and vanishes. It turned to be a rainbow for goodbye." "Eiji-san, Can I have more works?" "From now on, I'd like to give more marvelous stories to children. I want to give children the things I couldn't do for Ayumu all over the country." 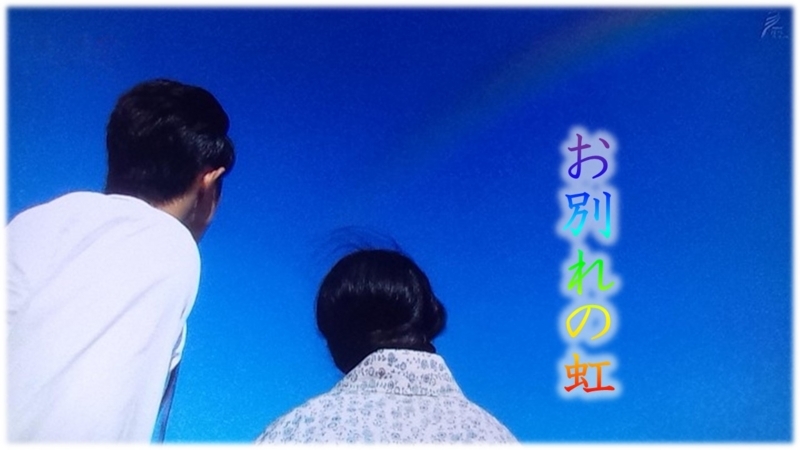 Hanako looks up at the rainbow.